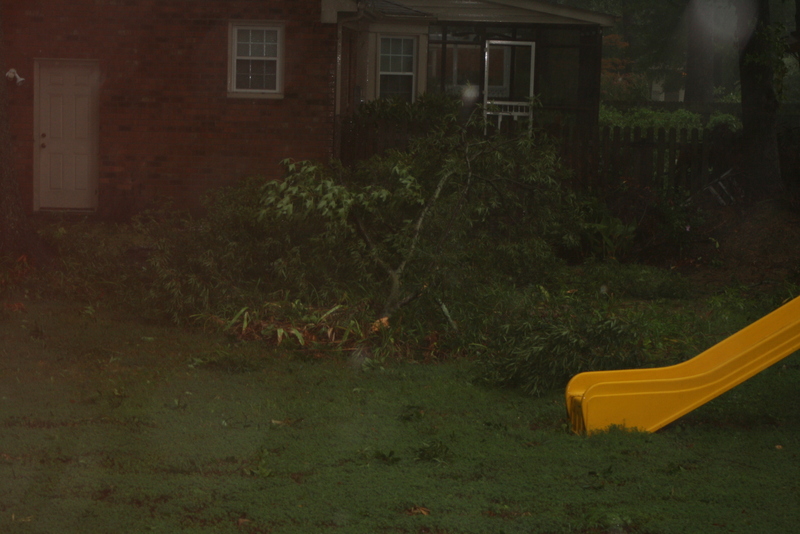 After five years in Virginia, Irene was my first “real” hurricane. Now that I’m on the dry side, here’s what I’ve learned, in no particular order. 1. Prior to the storm’s arrival, the best way to avoid a power outage is to buy a home in a neighborhood with underground power lines. Half my subdivision has underground power lines, half does not. Half kept power, half is still out. Guess where I live? 2. There is a certain romantic idea attached to the arrival of the storm. The wind and rain rages but as many Facebook friends posted, all you really needed was shelter, flashlights, wine and a few books. A beautiful dream, but in my reality, the kids were restless, bored, frightened and insisted on using me as a jungle gym. I have a greater number of new bruises than I do of pages read. 3. Stray sticks can turn on outdoor water spigots. 4. A post-hurricane suburb would be the perfect setting for a Leatherface reboot with a post-modern snap. With so many seemingly harmless suburbanites running around with chain saws, the opportunities for carnage are high.